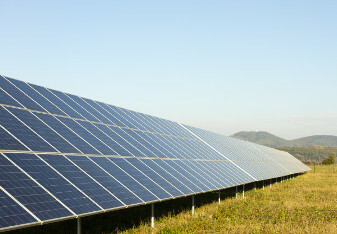 There are many potential benefits that having a solar park on your land can provide. We offer competitive rental terms which provide a long-term, inflation-linked income. We only take positive inflation movements into account, so your rental will never decrease. The solar panels only occupy around a third of the land area, leaving lots of space. As well as receiving a rental income, it is often possible to graze small livestock (such as sheep or poultry) on the site. 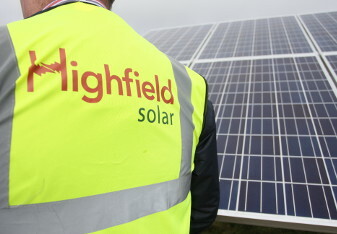 Highfield Solar covers all development costs. We will also refund your reasonable third party costs (e.g. your lawyer’s fees). Solar can provide an excellent way of diversifying income from your land by adding an income stream that is not linked to agriculture. Seeding the areas around the panels with grazing grass mixes and wildflowers provides a habitat for bees and other pollinators. Upon signing of an option for lease, we will pay an option fee and will also pay the first year’s rent up front at the start of the lease. 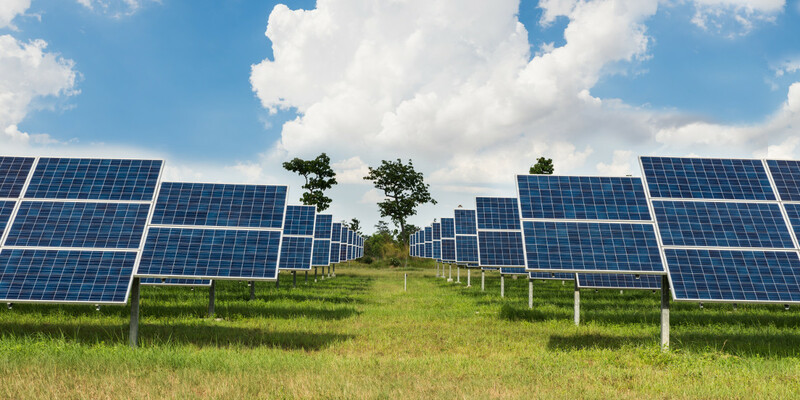 If you have available land that you would like us to evaluate with a view to developing a solar park, please get in touch by clicking on the button below. We work with landowners all over Ireland and pride ourselves on listening and responding to their needs. I’ve been involved in the Renewables Industry in Ireland for over a decade and have had a long and fruitful relationship with Peter and Gavin. They are both highly knowledgeable and excellent to deal with. I’d highly recommend anybody considering a renewable energy project to contact them. Indeed we’ve recently become partners in a renewable energy project and I hope to work with them again in the future. Highfield are in the process of financing a renewable energy project on my lands and we hope to move into construction next year. I’m very happy with how they have progressed the project and have no hesitation in recommending them to anybody considering a renewable energy project on their lands. Highfield looked after everything once we had made our initial agreement. They always had full consideration for our existing farming requirements and made sure that the designs were in line with our needs. For example an addtional water supply for cattle installed during construction was finished to a very high standard and I still have the benefit of that today. Highfield’s knowledge and experience of the electricity grid connection process and regulations proved to be invaluable when deploying my ground-mounted solar project. Highfield were quick to respond to issues that arose as the project was being built. Some modifications to the land drains were required during construction and this was dealt with immediately. Now that construction is complete having a separate, dependable source of long term income has been of huge benefit to myself and more importantly my family. Highfield have gone about their business in a very professional manner. They made sure that the planning and construction had the minimum impact on our existing farming and quarry businesses. Now that they are in the operational phase I have the benefit of improved tracks on my land along with the additional dependable income from the lease payments. I’ve worked with Peter and Gavin for a number of years and have always found them to be very knowledgeable, helpful and approachable. I’d highly recommend them to anybody considering an energy project on their lands. When developing a solar park, selecting the right land is the most important part of the process. We have a thorough site screening process in place to ensure that we develop the best sites. Usually, we will approach landowners directly with a phone call or letter to explain our interest. A follow-up meeting with a member of our team will then be organised so that we can discuss the proposal in more detail – and you can ask us any questions you may have. Once commercial terms have been agreed, we will begin to develop the site immediately by securing grid capacity and preparing for a planning application submission. We will conduct a detailed on-site survey which will help to inform our designs and determine the optimal layout for the solar park. When designing the park, we put the landowner’s requirements forefront in the process. By working closely with landowners, we can ensure that there is minimal disruption to other business activities. Sunnier sites generate more power and so it is important that we locate sites in the areas that receive the most sunlight. These areas tend to be in the southern half of the country (south of the Dublin), but sites further north, especially near the coast are also possible. When we analyze your site we will estimate the expected solar yield using satellite data. We may also ask to install temporary sensors to accurately measure solar irradiance. Large, flat fields make the best solar parks, but with careful design it is also possible to work on undulating or sloping land. Shading from trees and nearby buildings needs to be considered. Lots of other factors need to be taken into account, and we will sit down with you early on to review the design options for your farm. There are no costs for you as the landowner. Highfield Solar will fund all development costs and will cover any reasonable third-party costs that you incur (for example your lawyer’s fees). All we ask from you is that you take the time to meet with us on a regular basis (every few months) during the development process so that we can keep you updated and ask your input when needed. How do you select the best land? We have a rigorous selection process that takes into account solar irradiation, proximity to a viable grid connection, land topography, ground conditions, land designations, zoning and many more points. Our site selection team can quickly analyse any potential site so that we respond to landowners in a timely fashion. Typically we require a minimum of 15 acres to develop a solar park. Some of our parks are significantly larger than this (up to 100 acres) and we will work with multiple landowners in the same area. The construction process is relatively quick as there are only limited preparatory works to be carried out. Construction is usually complete within 2-3 months. How is the park built? The solar panels are mounted on steel frames which are supported on a network of steel piles. These piles are driven into the ground to a depth of between 1 and 2m (depending on ground conditions). This work is low impact and can be carried out by small vehicles similar to those used for driving in fence posts. In addition to the panels, two or three small control buildings will be built to house transformers and other components. These buildings require a concrete foundation but are only single story. How long will it operate for? Solar panels and the associated infrastructure have an operating life of at least 25 years. What happens after operation finishes? All components and infrastructure will be dismantled and removed from site and the land will be restored to its original condition. As solar panels have no moving parts, they require very little maintenance. A remote monitoring system allows our operations team to know instantly when a fault arises. A two-man maintenance team will typically visit the site 4 times per year. Can I sell the land? Solar power projects provide regular income and are widely recognised as assets to property by estate agents and rural surveyors. Our lease agreement allows you to sell your land and the value of the future rental income would likely be reflected in an increased sale price. Can I still use the land? You can graze small livestock such as sheep on the solar park. A number of preliminary studies on the quantity and quality of forage available in solar farms have suggested that overall production is no different from open grassland under similar conditions.